I've been having way too much fun messing around with pieces that go together. It's funny because 99% of the time I create pieces as individuals and then months later I feel like I've created the perfect match (unintentionally). Those little surprises are always SO exciting to me. Hey, it's the little things, right? And the fact that it's Friday is the best little thing currently. Pretty soon the leaves will be filling in the trees and pink will be budding everywhere. It starts so slowly and then goes so quickly, so trying my best to take in every moment. Spring, you really are the best. And you make this mama-to-be's heart VERY happy. Another pink moment. The days are getting longer. The sun is setting later. The bugs are zipping around. And guess what. I love it all. Spring, stay, but summer, I'm feeling you too. The editing process is always one of my biggest struggles with my work. But this above new piece, this one is a keeper. And keepers feel just as good as the ones that get discarded (not really, but I can at least pretend). We are counting the days until our final move back to home, sweet home, New Jersey. One of the best parts? Pretty soon I will have easy access to sand under my feet and toes in the sweet, sweet ocean. I cannot wait. And in the meantime, here's a new print I am working on. Another new print AND another day closer to spring. Both equally exciting in my book! Come on March, you're almost here. See - burying your sadness and focusing on work can be a good thing. At least for now. And spring is ALWAYS good. And rejuvenating. And boy does a rejuvenation sound good right now. I am FINALLY back into the flow of things after these past few months have been endlessly crazy. It's funny how sometimes monotony can get to you because sometimes it's EXACTLY what you need. And right now, it's just that. It feels SO GOOD to have a workflow again. New prints. Inspiration. Endless ideas to test out. Man, it feels good. I've been working on a new series for quite some time, but keep pushing it off because I am waiting for the spring to come around again. These three are the first few ALMOST finished pieces. They can go together, but they don't HAVE to go together. Oh the possibilities. They aren't done yet, but they sure are close and it feels mighty good! It feels very good to be getting buried into work again. And I didn't realize how much I didn't feel like myself without creating until I started creating again. It's a weird, but wonderful thing. I've been craving simplicity. In everything. In my life. In my work - both in theory and in practice. And it feels VERY good. I think simplicity is everything. Because I tend to overthink things. Overwork things. And that leaves me completely OVER most things. So here's to my new venture in simplicity. I'm embracing this slow start to the new year and it feels good. Taking a minute to work when I have it. Not getting down on myself when I don't. And enjoying the simplicity of things in the midst of chaos. And that's what matters. One of the many pieces I am working on that just isn't quite there yet. It seems like this fall has been the season to not finish! Have I started? Yes. And I guess that's a start (definite pun intended), but now I just need to finish. A LOT. Who's with me? An unfinished, but much needed Sea Study. I know it's not winter yet, but man I am missing the warm sun and salty ocean. BUT...at least it's Friday. Happy Friday! I've been brainstorming this new series for months, but I still have a lot of other things to finish before I can really start. I just couldn't help but to sketch some ideas out. Because new work and new ideas make me one happy girl. I've been working hard to get the first few paintings of my new series done, but I just keep experimenting and experimenting and not finishing them. This is the first one that feels finished to me. So here's to more experimenting. And hopefully more finishing. The days are getting dark SO early and even though I want to cry, I can at least start adding some darker hues to my work. And guess what? It feels right. The colors, that is, not the darkness. This is one of my newest Sea Studies and I have to admit, I love it. I tend to work with colors that just feel right to me. Sometimes I try to branch out, and typically when I do, 9 times out of 10, I hate the outcome. The colors just don't feel right. But with every failure, there's growth, so that's OKAY if I hate the outcome. In fact, it's great, because I know now I do not like that exact combination of color. You can see my more typical palettes here, here and here. These all feel very me -- the definition of me, whatever that means. Which brings me to the above piece. It is very much NOT my typical palette, BUT it is a palette that currently feels right. And will continue to feel right. Because when it feels true to my soul, it will forever feel true and authentic to my being. 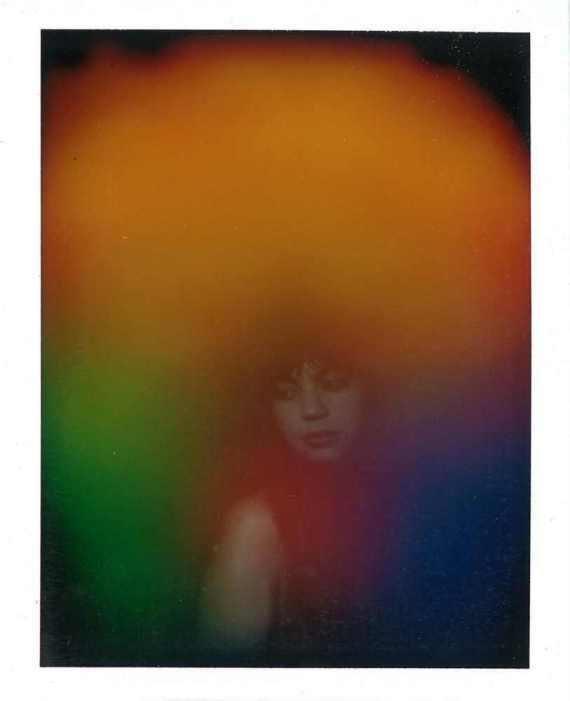 Speaking of which, I would really like to get my aura photographed. I know, I know, you think I am crazy, BUT check out this article. And if you enjoy visuals much more than words, check out this image and this image. And of course this one of one of my favorites - Jen Gotch. Man, I first wrote about Jen Gotch back in 2011 here. Feels like forever ago. And then again here. She has really blown up and you can read about her current doings all over (here, here, here, and here)! Sorry - what can I say? I crush hard for her and her work. 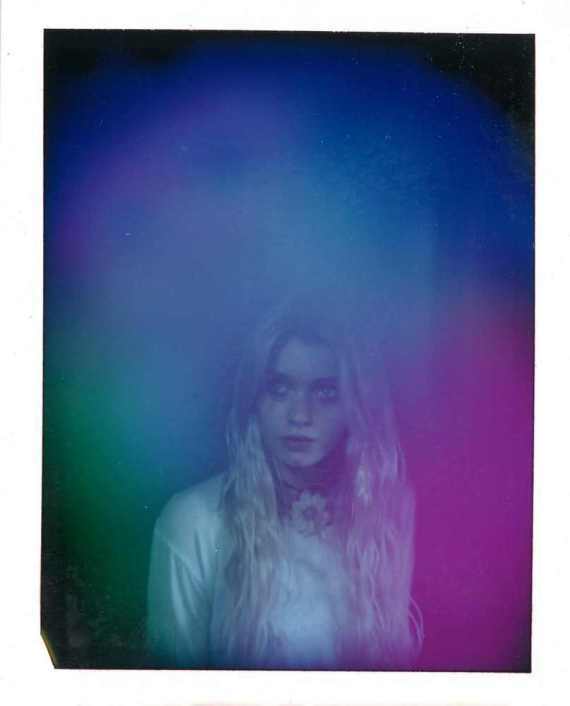 But back on track, even if the aura photographs are bogus, guess what? They are BEAUTIFUL. The truth is I often can't really enjoy the fall. Because I am too busy missing the ocean and even busier dreading winter. Being fully present has never come easy. Fall, you do have your perks, but help me surrender. The internet can be a strange place. It can be full of inspiration, full of future opportunities, but also full of unfortunate pasts. Much of my time as a current, modern-day artist has been dedicated to erasing those unfortunate pasts, embarrassed by my degree of vulnerability at times, embarrassed by my naivety as a cocky young twenty year old, or embarrassed by my lack of talent - why would I have ever created such a thing? More often than not, I have control over what's out there floating around the internet in regards to myself. I can delete ultra embarrassing old blog posts. I can remove old pieces from my website that no longer fit my aesthetics. But sometimes I have no control. And yes, it's embarrassing and at times can drive me crazy, but there's beauty in that. Put yourself out there. Be fully you. If you're embarrassed looking back on it, it means you're growing, BUT it also means you're still striving for perfection. Be careful of that trap and let go. Just fully let go. You have to because 1) no on really cares - they're too busy thinking about their own embarrassment and 2) you will never get the end result you want. I've constantly battled with perfectionist tendencies and the hardships that go along with it (you know all of the mental/physical anguish). But I've realized it's all a cop out. Because really it all comes from fear, from being afraid of not being good enough. And guess what? Fear is not hard work - fear is the easy way out. So let's be fearless, let's fully and authentically put ourselves out there, and let's create merrily for the joy of creating. Who cares what the end result is? I sure don't. I remember being in high school and discovering what editing papers did. I mean sure, it seems obvious, but when I took the time to read over a paper, make corrections, read over it again, make corrections, and read over it one more time, I was amazed that each and every time there was something to be changed. I was also amazed at the direct effect it had on my grade (yay for editing!). I'm beginning to learn the same lessons when it comes to my art work. I tend to feel defeated when I don't love an immediate draft of something, be it a painting, a Sea Study, or a Nature Study, but why should it really be any different than writing a paper. Why do I have such double standards? With my ongoing studies, I do draft after draft after draft, sometimes changing the entire vibe, sometimes just little tweak after little tweak, but it makes all the difference in the world. I'm perfecting my craft with each new draft and guess what? The end goal is NOT perfection. I am actually enjoying the process, each step, each fall, each gain, each loss. Because that's all that it is - a process, and all you can do is enjoy the ups and the downs and all the tweaks in between. You know when something comes into your life just as you need it? Well, I thoroughly enjoyed reading this post from The Etsy Blog on a day when I very much needed it. If you live a creative life or want to live a creative life, it's really worth reading. I promise. The thing I took away from it the most - #4. I realized there really is no magic number I need to be making a year to make me feel like an authentic artist. I mean when you really think about it, how silly is that?